Your grass will thrive off of thorough, regular watering. Always water in the early morning hours. The ideal amount of water to give your grass depends upon climate, soil quality, and the species of grass that makes up your lawn. You will need to water more often when temperatures are high, and when your soil is sandy and drains quickly. As a general rule, water your lawn until the top 4-5 inches of soil are wet. Water again when the top 1-2 inches of soil are dry. Avoid overwatering and light sprinkles, as these do almost nothing for the health of your grass. Also, certain areas may need special attention to prevent dry patches or unappealing color variation. It is recommended that you trust professional lawn care for general watering advice. They can tell you when, how often, and through which methods you should water your exact type of grass for a green lawn year-round. Careful mowing is critical to a healthy lawn. You should always use a mower with a very sharp blade and vary the blade height settings based on conditions. Your first mow of the season should cut the grass short to allow sunlight to reach the roots. After the first mow, raise the blade and allow the grass to grow a bit longer—typically about 2 inches or so. Time your mowing to remove the top third of the grass. If your desired blade height is 2 inches, mow when the grass is 3 inches high. When you mow this way and let the clippings drop, you’ll only cut off the thin, leafy tops, which will add much-needed nitrogen to the soil when it quickly decomposes. Lawn care professionals will regularly cut your grass at the appropriate setting and to the appropriate length for a neat appearance and to promote healthy grass. Your lawn will occasionally benefit from special treatments, including aerating, fertilizing, seeding, and weed killing. Be careful about the timing of applying these treatments and read all product packages carefully. Spring and fall are typically the best times to apply these treatments, as this will boost growth and protect your grass during colder months and dry months. Because these treatments often require the use of precise substances, tools, machinery, and plant knowledge, it’s usually more cost-effective to hire professional lawn maintenance for certain treatments. 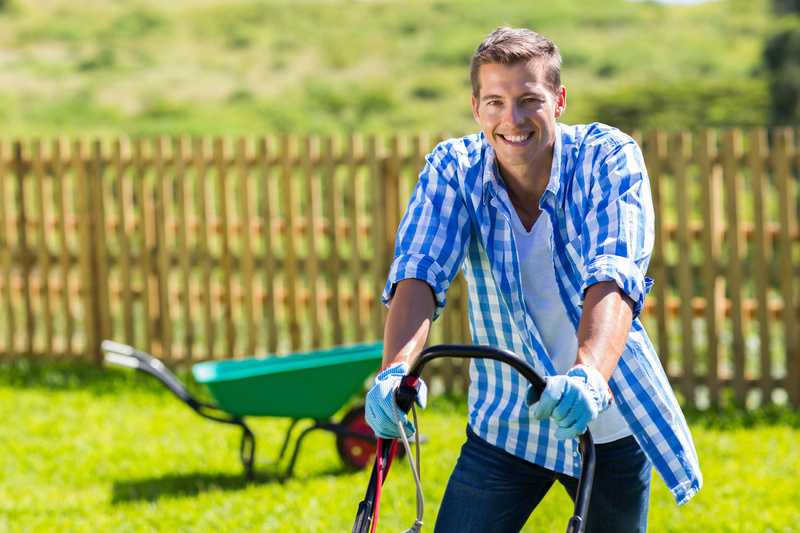 Follow these simple tips and you’ll have the best lawn in the neighborhood!